All the way from the VA to Manila Bay! Great podcasts. You've had numerous guests hosts during 2008. However, when the 4 originals get together, there is a better essence on the show. Keep up the great work. 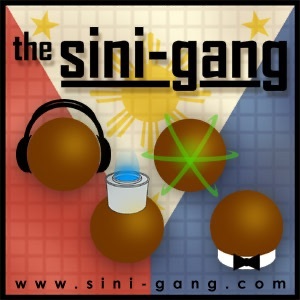 This Fantastic Filipino Foursome delivers great podcasts week after week dealing with Pinoy life in Virginia Beach. But they're conversations extend far beyond just bs-ing and the local scene. Their talks are timely, informative, and entertaining, dealing (with a light-hearted tone) on topics from politics to illegitimate rooster fights. Each of the four personalities brings something to the table and it's always fun to listen to them. Like chillin' with four good friends in a room.